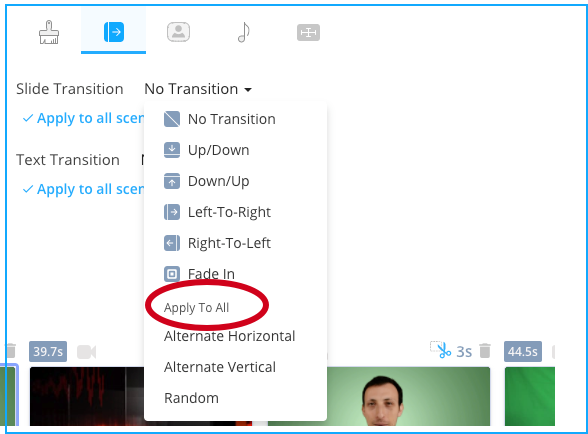 Select "Apply To All" to apply the same effect to all of the segments, or select a different effect for each slide. To select a different effect for each slide repeat steps 1 and 2 to each slide. Check out the New Fade-In transition between slides.